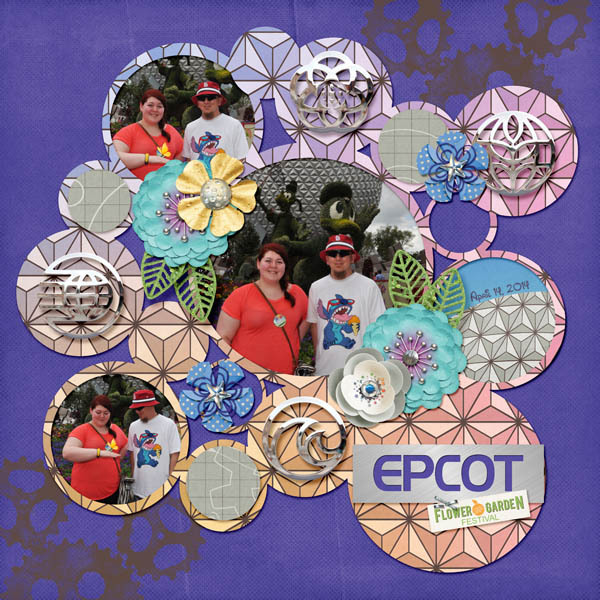 COMMUNITY OF TOMORROW by Magical Scraps Galore is a fun new theme park collection inspired by the Future World area at EPCOT. In a rich color palette, this collection combines futuristic elements with a nostalgic retro EPCOT feel. Included are references to favorite rides and attractions, such as the iconic globe, a monorail, a space shuttle, a hang glider, a speed car, pyramids and a rainbow, among many other fabulous goodies and patterns. Find the full collection at 58% off -or the individual kit and add-ons at 30% off through Tuesday midnight at GingerScraps and The Digichick.